So excited to be breaking out my spring wardrobe! I am crazy about the teal color of my new - well, I got it a few time ago but it was too cold to wear it - Fancy Sport Shirt by Equestrianista. To be honest, I love any kind of teal or mint, look at Equestrian Trend's logo! 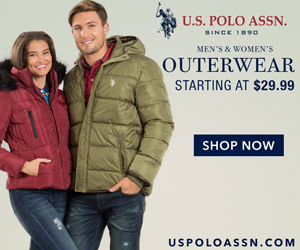 My favorite part of this season is being able to pair light colors - beige breeches - with a stronger and vibrant color - the shirt - and use navy or a darker color as an accent color - the vest. Like many of you, I am a big fan of this kind of sport shirts. 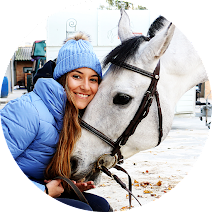 Nowadays, almost every equestrian brand has a version of these shirts and I am very happy that Equestrianista has decided to create a different and more fashionable version of it. Here is Smarty, the dog I rescued a few months ago. The ruche on the shoulders turns it into a very feminine shirt - it also has a ruche detail at the neck but you can't see it the way I wear the shirt. 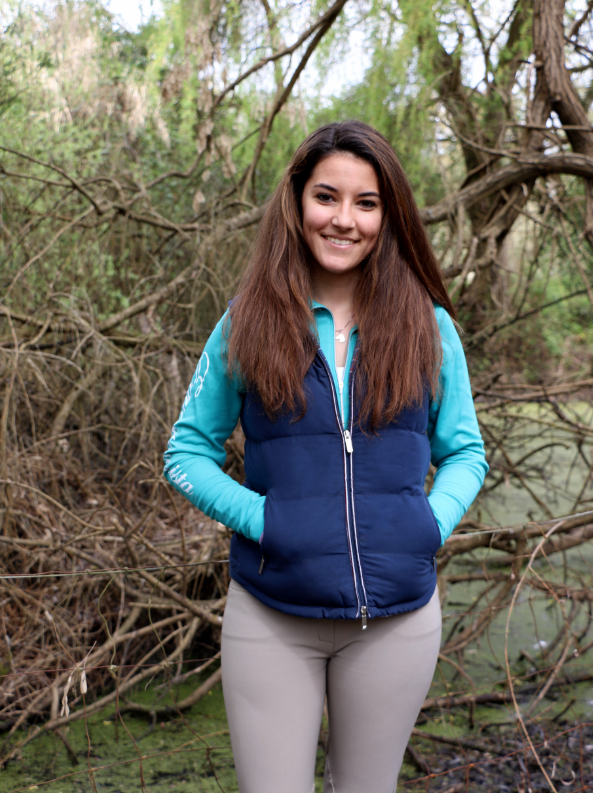 Like many of the pieces from this brand, the logo totally makes the difference - it wouldn't be the same without the Equestrianista detail on the right sleeve! The quality of the zipper is amazing but it could be a little shorter! Only one thing would make this shirt even more perfect: I would love to see it without those seams above my waistline. I am sure this Fancy shirt is going to be one of my very best friends on the summer. Yes, I do know this is a long sleeve shirt but it features a moisture wicking, anti-odor/anti static and UV protection fabric that will keep me fresh! Could I ask better? !